Gain a qualification while earning a salary. Apprenticeships provide the perfect route for learning practical, on-the-job skills, as well as furthering your education and gaining a formal qualification. Apprenticeships are training programmes in the workplace, where employees work alongside experienced staff to gain specific skills, whilst also receiving training from a training provider, such as a college. 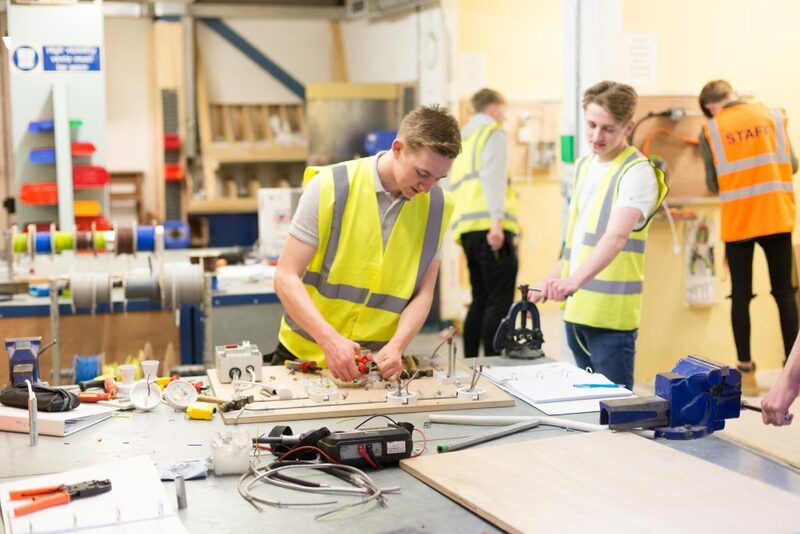 Apprentices are thought to earn in excess of £100,000 more throughout their lifetime than their untrained colleagues. If that’s not reason enough to think of enrolling, then consider the prospect of earning an average of £170 a week (depending on the employer), even while you’re training. It’s not all about money of course, but who wouldn’t want to gain practical vocational experience alongside formal qualifications? How much does an apprentice get paid? Apprentices are paid at a rate negotiated with the employer and stated in the terms and conditions of employment. The wage must comply with the National Minimum Wage for Apprentices. Click here for current rates. For those who are aged 19 or over who are in their first year, the apprenticeship wage can apply. All other apprentices are entitled to the National Minimum Wage for their age. What are the current apprenticeships you have available? You can find and apply for our current apprenticeship vacancies here, using the Apply link next to each listing. The Apply links take you to the vacancy detail page on the Government’s Find an Apprenticeship service which contains the full detail of each vacancy and instructions on how to complete your application. I can’t find an apprenticeship in a subject area I’m interested in, who do I contact?